Inside boasts a double sided fireplace at the heart of the room. 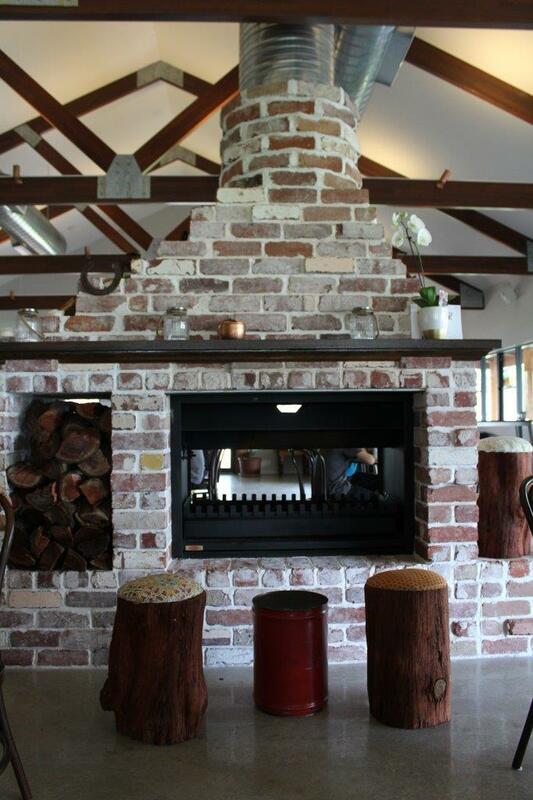 Surrounded by wooden log stools topped with brightly coloured cushions this becomes the perfect spot to warm your hands on the colder days. With its high exposed beam ceilings, classic brick walls, pressed tin features and wooden finishes it feels like a cosy homestead. 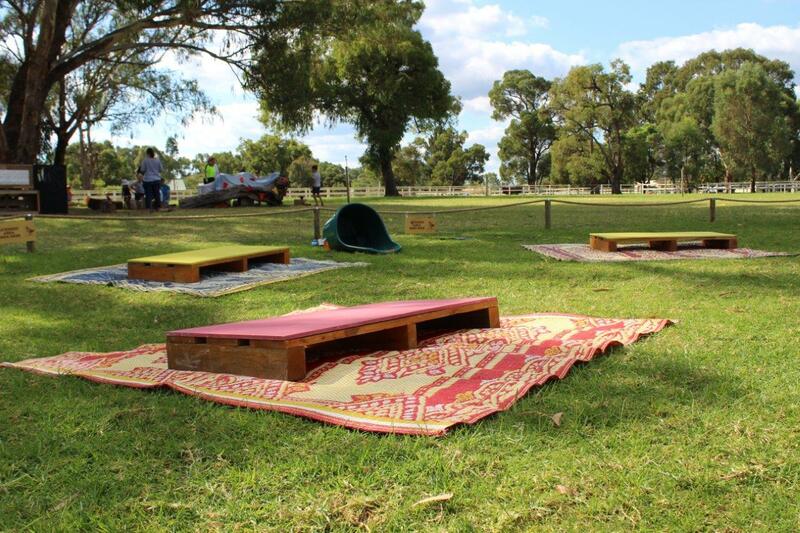 Outside, the lush green lawns are dotted with rugs and low pallet tables waiting for a family to claim them for a picnic style lunch. The tops of these also double as a chalkboard to keep the little ones entertained. This area is often filled with parents watching on as their children enjoy the wide open space and imaginative play workshops. 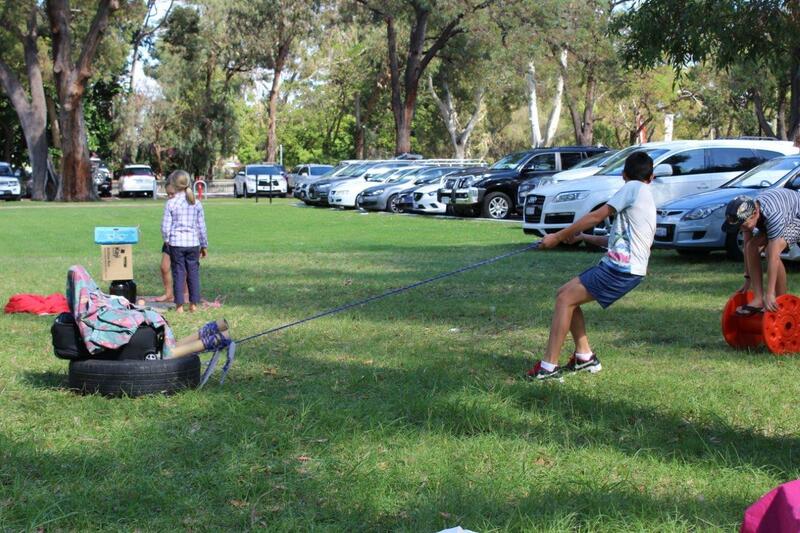 Given all kinds of random items, such as wheels, pool noodles and boxes, they can create whatever they wish. Some created cars, some created houses, and one group even made a tree swing- after they “risk assessed” it first. Everywhere you turn there are families out enjoying the last rays of sunshine or friends laughing and catching up over a beer. 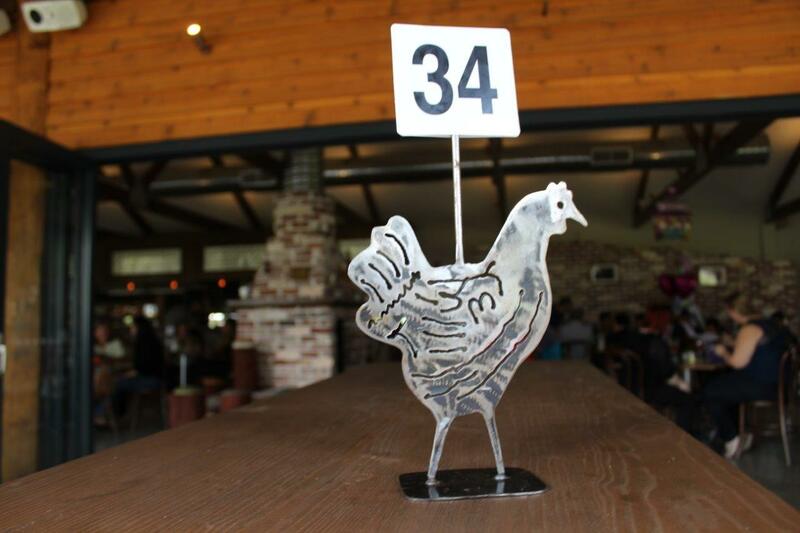 Co-owner Justin Rogan said the vision for The Hen was to create a relaxed venue that ‘takes you back’ with its colonial style build. 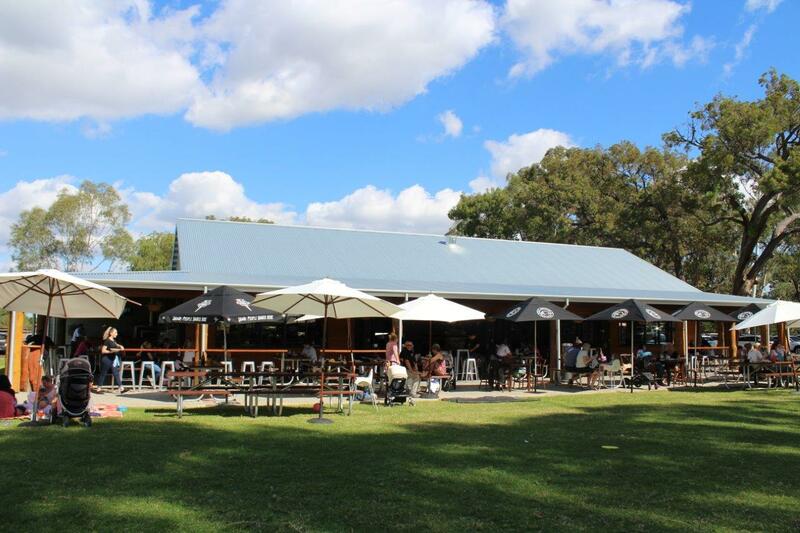 This local watering hole has the adults rediscovering the beer garden while the kids can enjoy a large space for free play- away from iPads and smartphones. Cemented in the Swan Valley’s food and wine trail, it is a great place for tourists to discover the best of WA’s renowned beer and wine. Justin and his staff love feel good food, and opt to bring you the very best old school pub grub. Offering small share plates to peck at while you enjoy a beverage, or big plates if you are ready for a solid meal (and you aren’t the sharing type) there is something for every mood you’re in. The Hen has a strong commitment to using sustainably sourced products, and also local products where possible. You can tuck into a good old chicken parmy topped with smoked ham, semi-dried tomato fondue, smoked cheese and steak fries or the ever popular slow cooked pork belly with truffle mash, crispy crackle and field mushroom gravy. If burgers are your weakness, their American style beef burger with red Leicester, onion marmalade, charcoal bun, mustard aioli and pickles with a serve of fries is sure to hit the spot. With a fantastic pizza oven outside, the pizzas are a popular choice with their patrons. 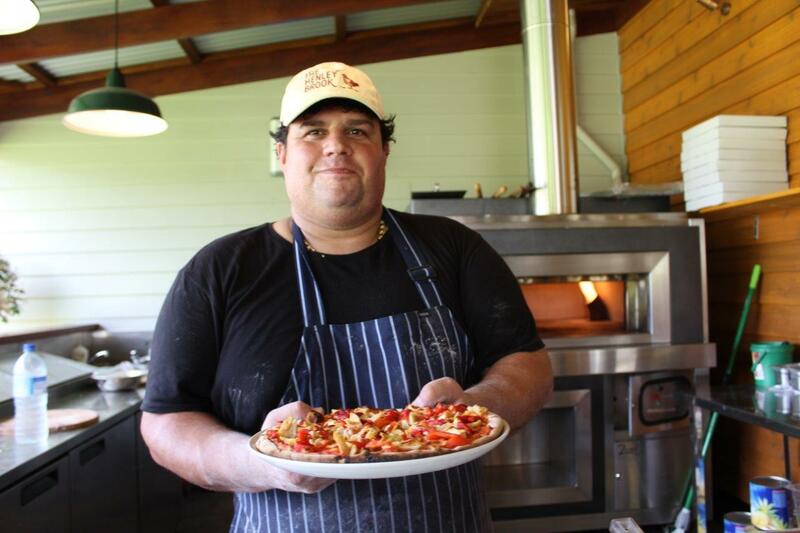 With their very own real Italian ‘pizza Joe’ (dubbed the ‘god of dough and cheese’) working the oven, you know you are in for delicious authentic pizza. You can also watch him in awe as he impressively works the dough with his magic touch. And don’t worry - they do dessert too. Get a fork into their warm peanut butter brownies with salted caramel and vanilla ice-cream or their vanilla bean panna cotta with rose syrup and candied pistachio. YUM. 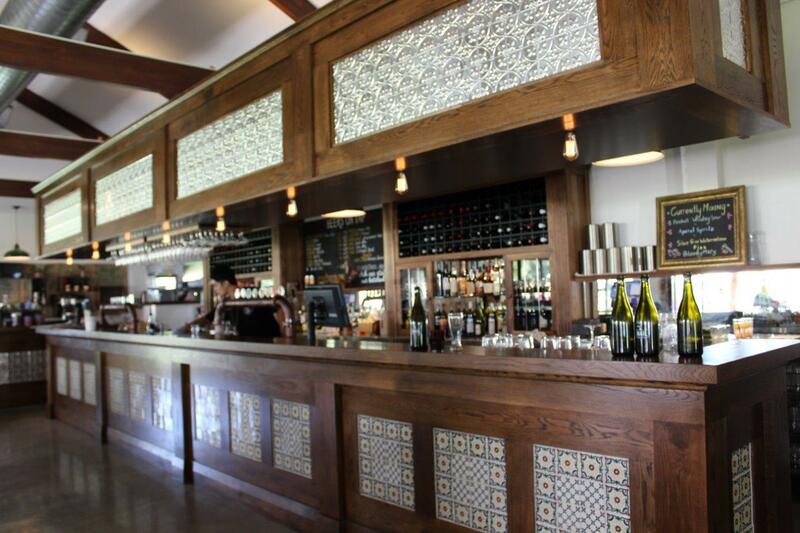 The Hen has placed a huge emphasis on supporting local WA brewers and wine makers, which is immediately obvious with just a glance at their drinks menu. Justin says it makes sense to source fresh products that are as local as possible, and that The Hen has the best example of Swan Valley wine and beer in the world. 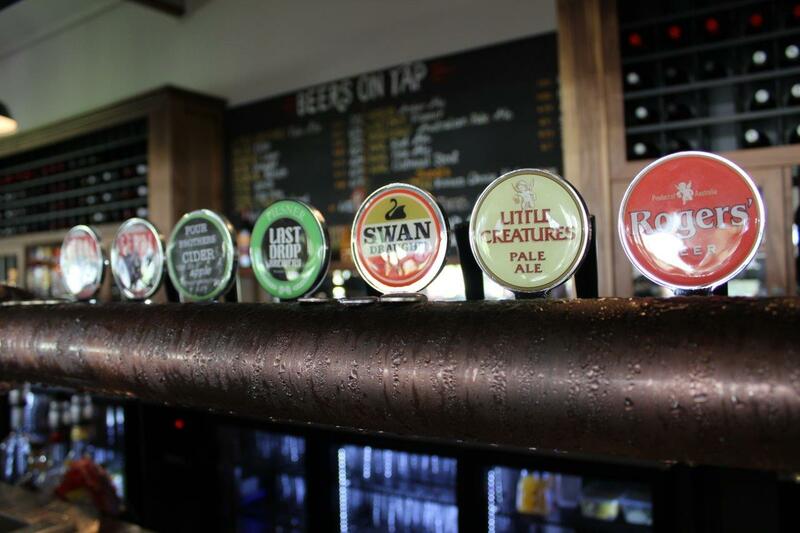 On tap you can enjoy beers from Swan Valley locals Homestead, Mash and Feral or other WA brewers Little Creatures, Nail, Colonial and more. Swan valley wine makers Sitella’s, Pinelli’s, Mandoon and Rosily Vineyard are represented on the wine list among many others. Distillers Hippocampus, located in West Perth, also have their gin and vodka listed on the spirits menu. 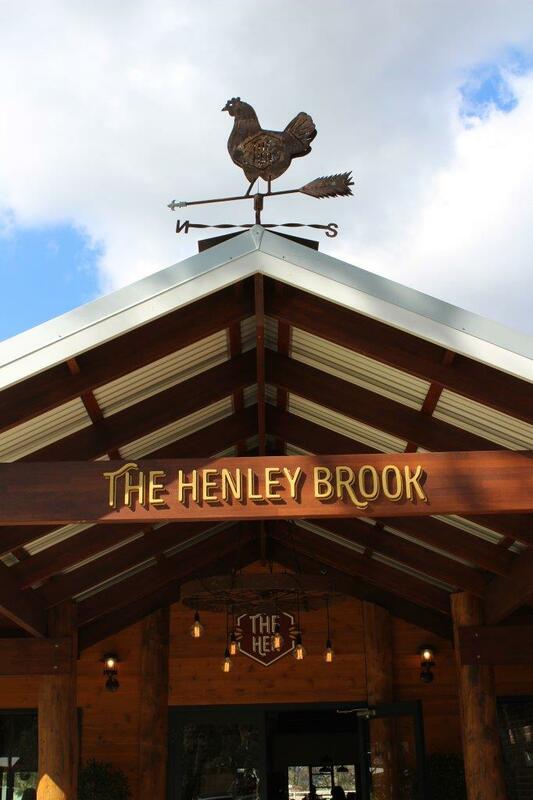 Where there was once a gap in the market for a place young families can come and enjoy some quality family time in the valley, the team at the Hen are proud and honoured that it has become a local favourite. 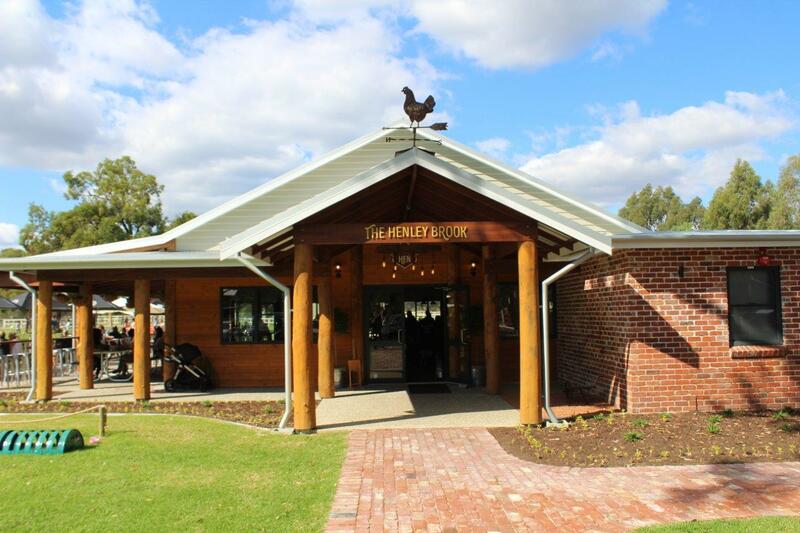 Built with a lot of love, the crew at The Hen are passionate about their venue and sharing their love of the Swan Valley and its best aspects with their patrons. Justin says everyone at the Hen are very thankful to all the local Swan Valley residents for their amazing support so far. So give it a go for yourself; whether it's for a few drinks with friends, a hearty meal or for some quality family time with the kids. Or maybe all three at once! Open Wednesday and Thursday 11am-6pm, Friday and Saturday 11am-9pm and 11am-5pm on Sundays. You can check them out on Facebook or on their website.